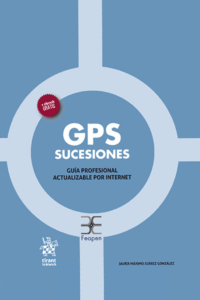 FEAPEN, along with the publisher Tirant lo Blanch, has published a special edition of “GPS Successions” written by the Notary and member of the section of the AEDAF family business, Javier Máximo Juárez González. The aim of this work is now selling FEAPEN is to provide answers and support that a lawyer needs in his daily practice. Reality can not be compartmentalized into separate branches and therefore this book is a tool that addresses in a multidisciplinary successions and donations from the civil planes and tax. This book has been designed in a systematic, clear and easily accessible and a complete analytical index for easy reference. Therefore, we are facing a unique approach that does not respond to traditional parameters, but the reality of professional practice. 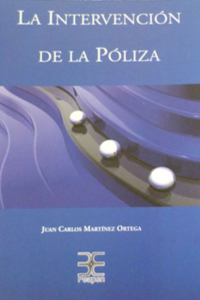 The author of this book, Javier M. Juárez González, added to his status as a notary, the continued performance of tax consultancy, exercising university professor and graduate students at private universities in both civil and fiscal and extensive experience in publications on these matters. Along with the book in print edition is given access to digital book and, through the virtual library Tirant updates as they occur, so that the reader always have the latest and maintain the practical use for which it has designed. GPS Successions. FEAPEN special edition. Javier Máximo Juárez González. Notary. The mercantile policies in Notarial have earned an important place among the public instruments authorizing the Notary intervenes. Thanks to the notarial intervention, the commercial policy has an important force, resulting crucial all the details required by the notarial rules for such proceedings are conducted with maximum guarantees. The company is a public policy instrument more than those attributed to the Notary within the sphere court that the State has delegated to our public performance. You can tell that by their quantity and frequency today is probably the most involved in the Notaries document due to the large and growing trade and financial traffic. This book does claim to help learn the most important details that must be taken into account when serving customers before intervention policies, and remember the main requirements that must take the intervention of the Notary. Juan Carlos Martínez Ortega, author of the manual, is Officer Notary, lawyer and Doctor of Law. With the publication of “The intervention of the policy” he has achieved for the first time a book containing all the information concerning notarial policies. In its 150 pages pinpoints the concept, classes and requirements that must contain. 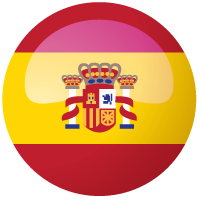 It also contains a bibliographic database useful for professionals Notaría. Juan Carlos Martínez Ortega. Notarial Officer. Lawyer. Doctor of Law.